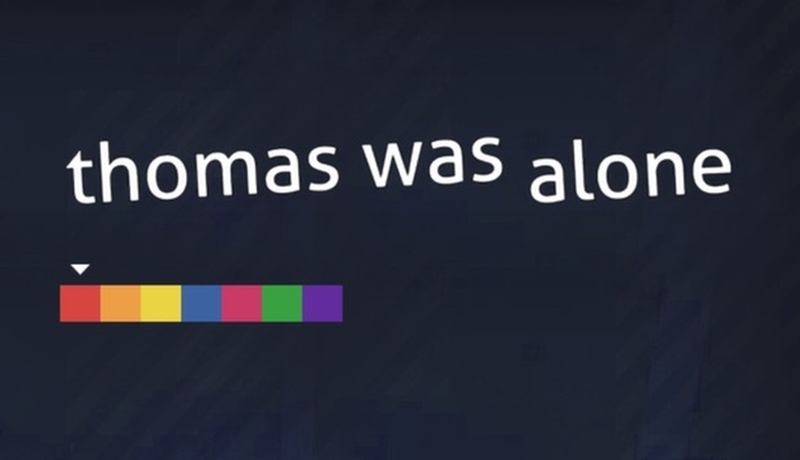 At first glance, Thomas Was Alone doesn’t look like much. There’s a black background, a few blocks and some ledges. Hardly anything visually stimulating. Yet here is a game that will have you hooked from the very first level. It all starts with the narrator. British humorist Danny Wallace, who earned a BAFTA Award for his performance, is there to narrate every single one of the game’s 100 levels. Through his voice, he gives every block in the game a name and personality. 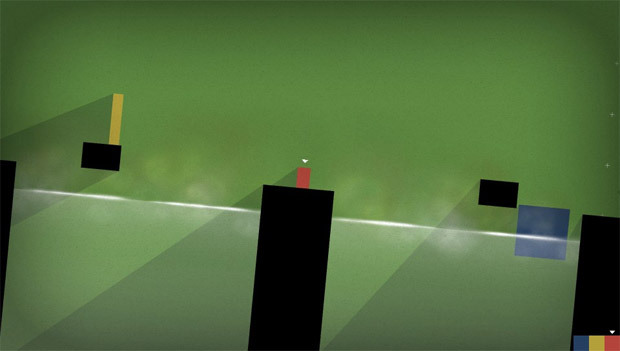 There’s Thomas, the titular character, a red rectangle that is trying to make sense of the world around him. Soon he meets Chris, a short and stout orange square, and he is a particularly grouchy character. Later, Claire is introduced. She is a large blue square, one who is insecure but takes some great pride in helping others. A tall and thin yellow rectangle named John also enters the picture, and he loves to show off his high-jumping abilities. These are only but a handful of the characters we are introduced to in Thomas Was Alone, and all of them are different-sized squares and rectangles. Sometimes a level will require you to use a few of them together in order to solve puzzles, while others only use one character. Every level has the same basic end goal: to move the blocks to their appropriately-sized exit portals. Since each character has its own ability (i.e. Claire can float in water, John can jump really high), these specific traits must be taken advantage of in order to make progress. 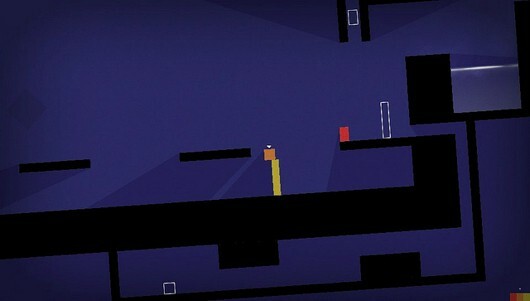 Most puzzles can be solved by using some variation of stacking blocks and using each other as a platform, and very few of the game’s levels actually present a real mind-bending challenge. However, it is this simplicity that only enhances the game’s ambiance. Combined with the glitchy, minimalist soundtrack, Thomas Was Alone is a laidback experience, perfect for when you just want to relax after a long day. It’s rather amazing that a game so basic in concept can achieve so much thanks to good, quality writing. It’s hard not to be enchanted with Wallace’s witty quips about isolation, loneliness, companionship and artificial intelligence. If you had told me beforehand that I could get attached to a few blocks, I would have called you crazy. While sometimes I wish the game did have more of a challenge, the setting and overall charm makes this an easy one to recommend. This is the perfect example of great game-play not graphics. A very clever game indeed. Yep, well said. It’s a good fit for the Vita, too, with its bite-size level structure. I played some of this just today on a vita. So brilliant. It reminded me a lot of Limbo, but somehow better. Yeah, it does have that same style of simplicity that Limbo does oh so well. Glad to hear you are enjoying it! Great review. I’ll have to look into getting this one as it looks pretty cool. Thanks man, yeah this game was a nice change of pace. Glad it made it over to PSN.